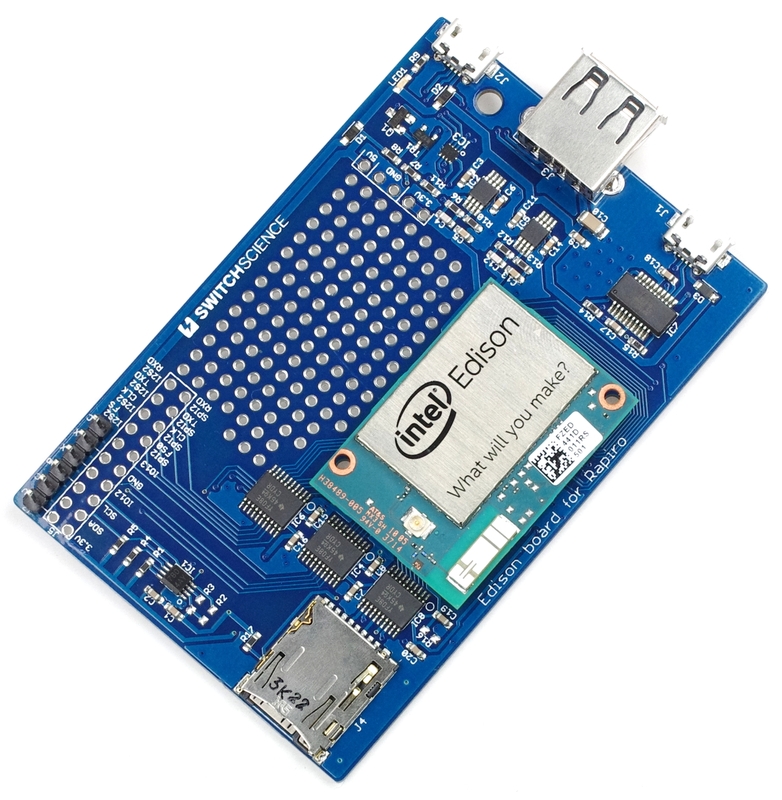 This carrier board lets you use Intel Edison for controlling Rapiro. 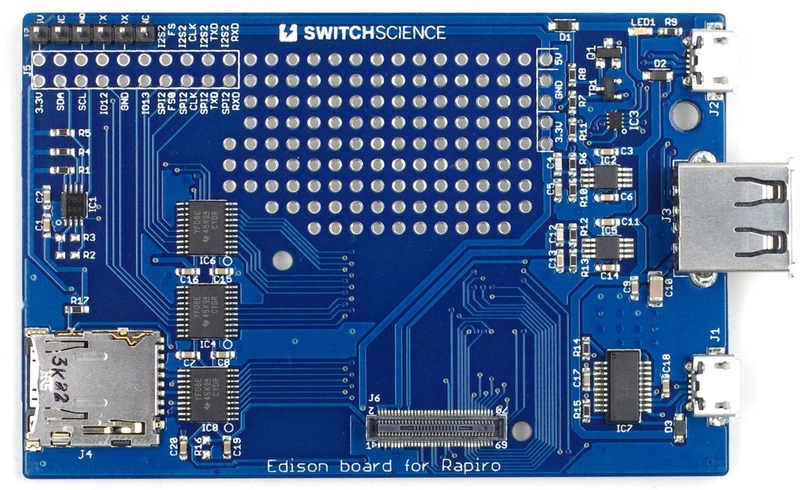 GPIO input voltage level is converted from Edison's 1.8 V to 3.3 V.
Since Edison is WiFi and Bluetooth enabled, you can control Rapiro using WiFi. 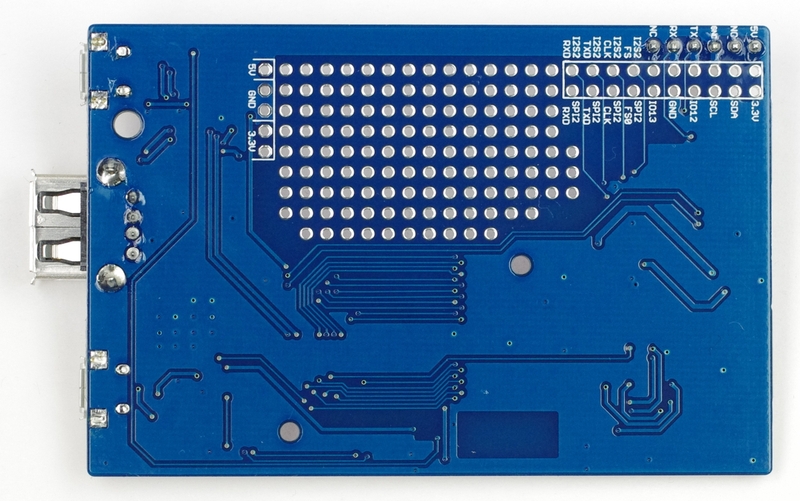 This board has a universal area and pads for I2C, SPI, I2S, Micro-SD slot, Micro USB (TypeB) x 2, Standard USB (TypeA). 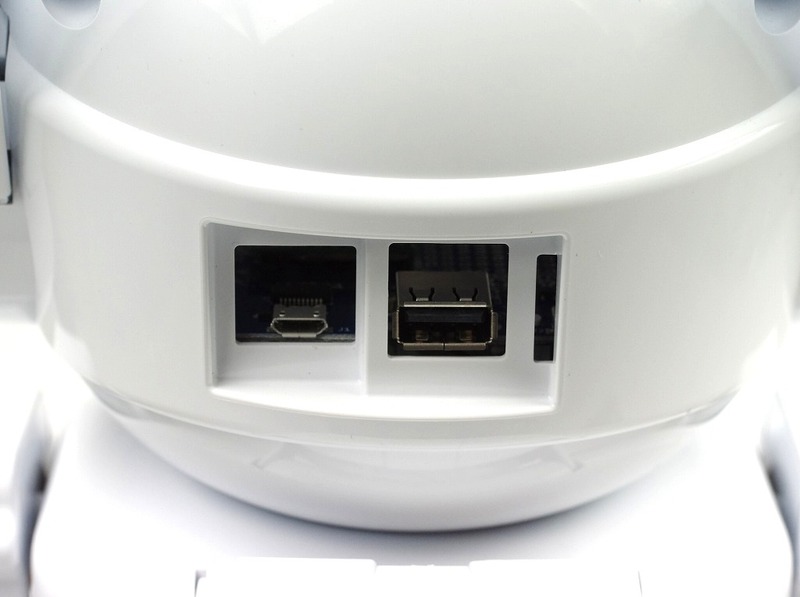 It is designed for Rapiro, but the use is not just limited to Rapiro. 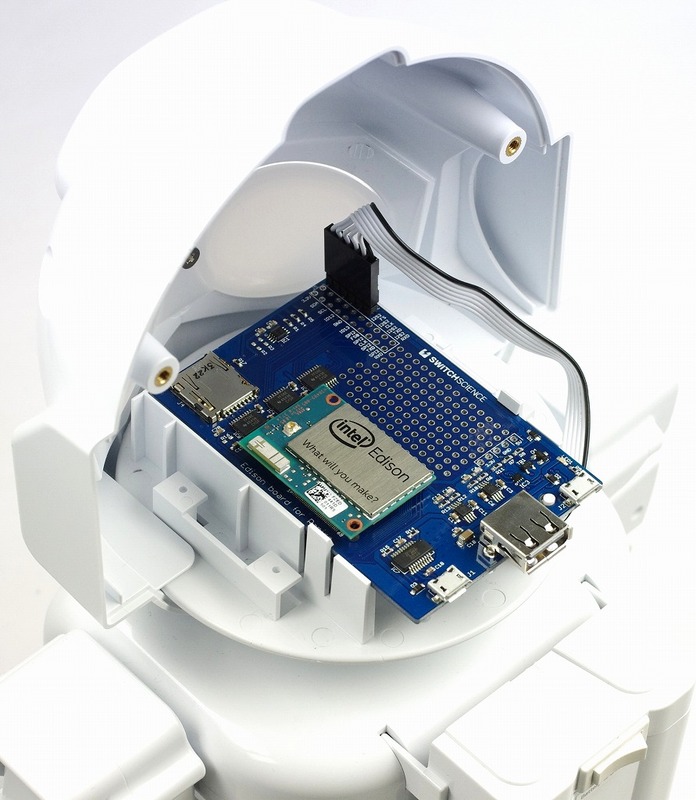 The carrier board does not come with Intel Edison. 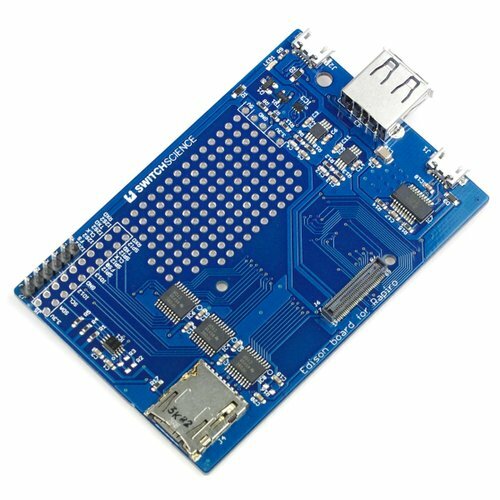 Cannot use MicroUSB and Standard USB simutaneously. 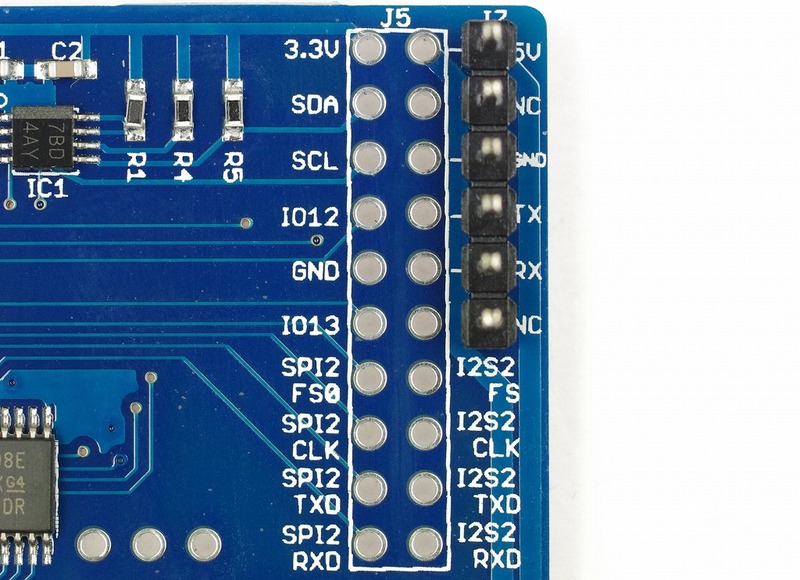 If a USB device is connected to Standard USB , MicroUSB gets disabled.